Those who own commercial buildings know just how important it is to take care of every aspect of that building if they hope to remain in business. A company with a leaky roof could find that they have tens of thousands of dollars’ worth of damage to products and equipment if they aren’t careful. A roof with gaps and holes in it could allow for the entry of rodents and other pests, which could devastate a grocery store or restaurant. A great roof is essential for protection. Yet, many companies never stop to think about their roof until it is too late and they are in the throes of their latest emergency. 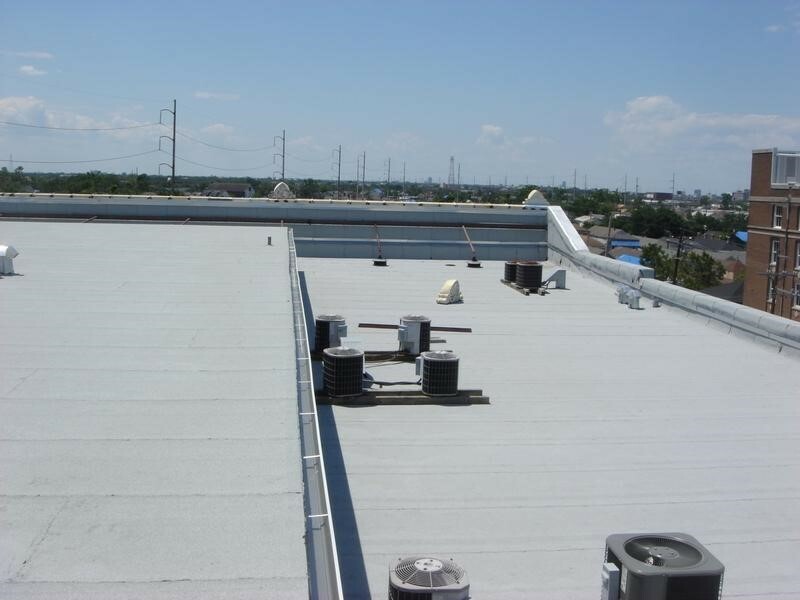 Your commercial roof has the potential to last for a number of years, as long as you care for it properly. This means that that you really do need to have regular maintenance to take care of any small issues that are evident. Taking care of the problems now, while they are still relatively easy to care for, is the best possible option for the roof as well as for your finances. There is no better method than regular maintenance if you want a roof that will last for years. Having a roofing company such as JOI that can come out to your business in Baton Rouge or New Orleans and provide the basic maintenance and upkeep that your business’s roof needs is the best option. When a roofing problem goes undetected and grows, do you know what happens? The cost of repair often grows right along with it, and that’s the last thing that any business wants to face. It makes far more sense to make a smaller investment in maintenance today than to pay more down the line. The company can provide inspections to look for potential leak areas and other issues before they arise. They can make sure the shingles and the other materials are in good shape and have not received any damage from the weather. They can also clean out the gutters and downspouts and provide some basic care tips for the roof. Of course, even though you might try to have proper maintenance for your roof when needed, it’s not always possible to predict what might happen. Perhaps a storm comes through and tears away some shingles or otherwise damages your roof. A number of disasters and problems can crop up on occasion, and even regular maintenance might not be able to prevent them. When this happens, don’t worry. You will still be able to get high quality service from JOI to help with your roof damage. The specialists can be to your business within just hours of the time you contact them so they can start to repair the damage. This helps to ensure the least possible amount of further damage to your property. By having emergency service that actually repairs and fixes the problem, it means that your business will not have as much downtime as you might fear. Naturally, this is a boon for your business. No matter the problem, get in touch with JOI when you need fast help. What makes JOI a great choice? The company has a good reputation in the area and has been serving customers in the New Orleans and Baton Rouge area for decades. We are locally owned and operated, and are fully licensed and insured. Get in touch with us today to set up a maintenance schedule or for emergency service if you need it.